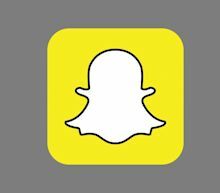 Snap is expected to report fiscal first-quarter 2019 earnings on Tuesday afternoon, and Wall Street will be paying close attention to user base numbers. Snapchat's parent company reports quarterly results this week. Snap (SNAP) is seeing favorable earnings estimate revision activity and has a positive Zacks Earnings ESP heading into earnings season. Snap shares have soared since Feb. 5, when the company announced better-than-expected fiscal fourth-quarter earnings. Snap said this month that Snapchat reaches nearly 75% of 13- to 34-year-olds in the U.S.